Ryan Blumenthal opened this weekday-only breakfast joint as an homage to his East Coast roots—it’s even named after his New York-bred grandma. 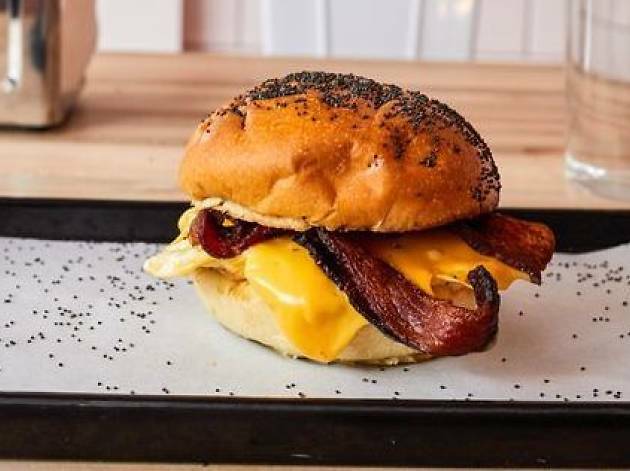 Everyone’s here for one thing: The oozing, piping hot fried egg sandwiches, made with cage-free brown eggs cushioned on buttered poppy kaiser rolls. 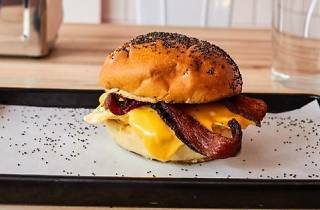 Build your own stack, with eggs, cheddar, pastrami, or applewood smoked bacon, or splurge on specials like the Twenty Five (egg, avocado, tomato, cream cheese, and black olive) or the Horse on the Roof (grilled steak, eggs, provolone, American cheese, and special sauce). Don’t miss the homemade hot sauce.